Ending a silence of five years, goth/rock act The Awakening has announced the release of a new single, titled “Shore,” from the band’s upcoming ninth full-length album, Chasm. The single is available for immediate download with pre-orders of the new album, along with a host of other exclusive items including hand-written lyrics, autographed CDs and vinyl, and various merch bundles. Also included in the pre-order campaign is access to weekly updates and other exclusives leading up to Chasm‘s release date. Front man Ashton Nyte states the primary motivation for such an extensive pre-order campaign “is to see the band back on the road,” with The Awakening planning to tour worldwide in 2019. 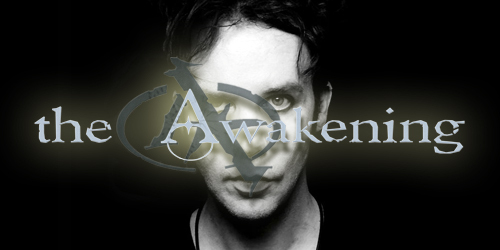 “It feels magical to be putting out a new Awakening album again. Most of all, I look forward to sharing the songs with the fans in a live environment again. That completes the circle for me.” Chasm will be released on November 26 via Intervention Arts.